Our staff has years of experience and will do all the home chores for you! Get 10% Off our Removal Services when combined with after builders. Free oven cleaning when booking end of tenancy for £100+. Get instant 50% Off carpet cleaning when combined with end of tenancy. Book cleaning of 2 carpets with 6 hours of One-Off cleaning for £136. Cleaners to Hire is a leading cleaning company in London that is going to help you handle domestic sanitation needs in the best possible manner without stress, strain or hassle of any sort. Home cleaning is usually the toughest chore one has to carry out. When you have to work a lot or you have engagements of other kind, things become even more complicated. That is why a team of professionally trained, fully licensed cleaners would be of great help to you. They are going to handle the specifics of your regular or one off cleaning and sanitation needs, while saving you time, energy and even money. Our cleaners deliver excellent results due to our tested methods and equipment, so you can be free to pursue your other obligations as you will. All cleaning services that we offer are tailored in accordance to the individual specifications of the particular job, as well as the personal requirements of the client, e.g. you. We are fully equipped to handle even the largest and most frequent home cleaning needs that you might be having. 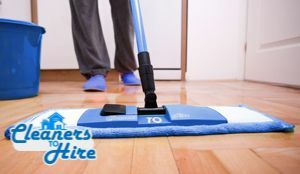 Our experts are going to come to your place once, twice, three times or every day of the week, tidy up, take out the trash, clean and shine all surfaces. Once we are finished, your house will be in prime condition and you will be able to enjoy every minute that you spend in it. Additionally, we offer one off cleaning solutions that are professionally tailored and very efficient. In those cases when you need a team of specialist cleaners to come your place just once to clean, we would be here for you. We will use professional steam cleaning tools and powerful products that do not possess dangerous chemicals – thus no allergens and other health hazards are going to enter your household at any point while we are working there. One of our most sought after services is rug cleaning. Naturally, carpet cleaning is a very responsible job. Carpets are beautiful and they are in a position to add great touches to one’s home interior, but in reality, they are also very hard to clean. If you are looking for an efficient and reliable way to keep your rugs clean and sanitized at all times, our rug cleaning service in the right answer for you. We will not only take good care of the general sanitation needs of your flooring solution, but also remove stains caused by food and drink spills, pets etc. Our steam cleaning equipment will reach deep into the fabrics of the rug, providing impeccable results with minimal hassle. There are countless benefits to having Cleaners to Hire as your cleaning company of choice. Get in touch with our polite and very knowledgeable around the clock customer support in order to learn more about our company, sanitation services, flexible schedule and very competitive pricing that are the same in all areas of London. Feel free to make a reservation or request a free no obligation quote for the full price of your cleaning project.